The temperature's falling and we can see the fall season looming over the horizon.....we can't wait. To celebrate, we're highlighting the TOMS Ella Chelsea Booties. 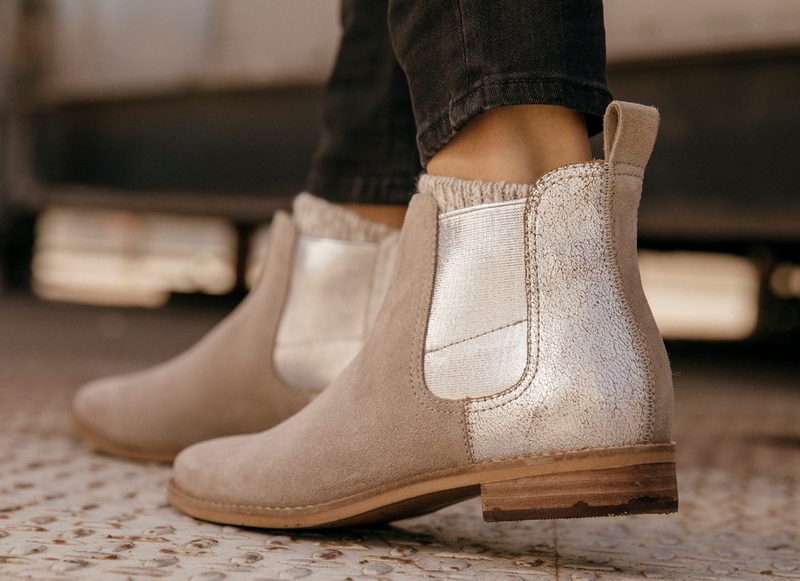 These super cute booties boasts a slip-on, Chelsea Boot silhouette with pull tab, twin elastic gore for easy on/off, a funk-fighting cotton twill sock liner, a suede upper, and in our favorite colorway (the Desert taupe), a Silver metallic leather back panel. And because they're TOMS, they feature a comfort insole, a stacked, 1" leather-wrapped heel, and a rubber outsole for traction. 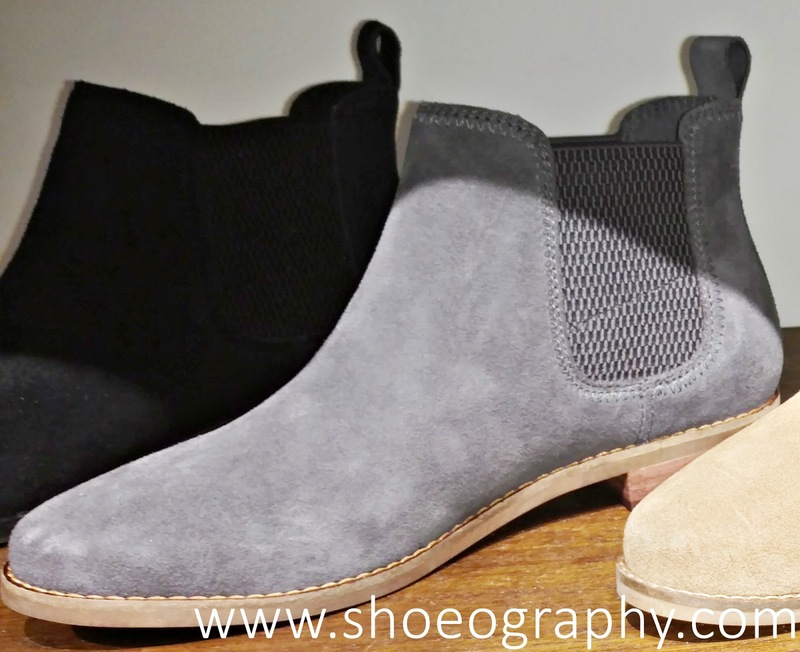 The TOMS Ella Chelsea Booties retails for $119.00 and along with the Desert Taupe, they also are available in Toffee, Forged Iron, and Black. Get fall ready with these great boots at www.toms.com.